Social networks can be a powerful method for your business organization. 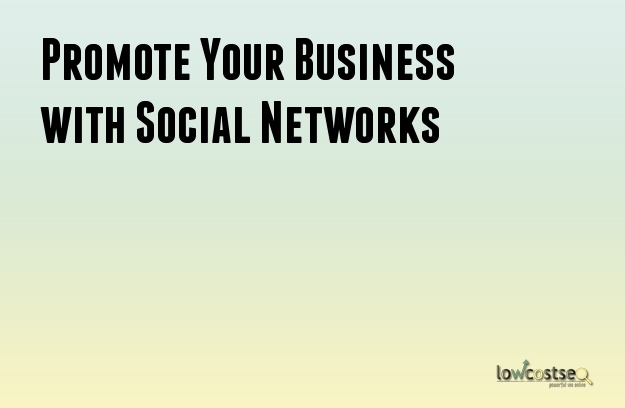 You can market and advertise your products and services through these networks. They can increase the traffic registered by your website. This method is also quite effective in terms of cost as you do not need to spend money to create a profile. Without these social networks, you may find that you are unable to gain a lot of sales or leads. Your website may not be attracting a lot of interest unlike your competition. A business that makes the best possible use of these social networks are bound to command a higher percentage of sales. Social media marketing plans can be immensely beneficial to your business. However, you need to pay attention the very nature of these networks first if you wish to achieve any level of success. Each social network works in a different way. Instagram relies heavily on images while YouTube is only capable of handling videos. Facebook is great for connecting with your audience while LinkedIn allows you to network with other people in the industry. Once you know how each social network operates, you can start building your marketing program. The primary objective that you should take care of will be the creation of a good profile. A fan page is the best choice but in most cases, your profile will suffice. You should take care of the profile creation as nobody else will know your business as good as you do. You will also have the necessary knowledge on the benefits of your own brand. Update your profiles on a regular basis so that all the information about your business is the latest. The profiles on the various social networks will be more than a platform where you can advertise your services and products. These pages can help your followers connect with each other and conduct informative discussions on your products and services. You will get invaluable feedback this way so you should encourage your followers on social networks to discuss. You can also ask them to recommend your business to the other people. That is a free form of advertising for your organization. The discussions will prove to be valuable in other ways as well. They will be a great way to connect with your customers and build relationships on a personal level. Your customers can tell you about the problems that they may have faced earlier when utilizing their services. This will help you react in the appropriate fashion so that the problem is resolved quickly. Your customers will love you for it. Listening will be a valuable skill when you are trying to be successful with your social media channels. You should pay attention to what your customers are saying. Your customers will realize this and they, too, will give more importance to the marketing messages your post on the social networks. Select the social networks that are right for your business. There is no benefit in using all of them. Create a schedule for each of your social networks. Give ample time to each so that each of them becomes an effective marketing tool.